If you’re always brimming with ideas or constantly thinking of ways to improve the way things work, this one festival will be right up your alley. one-north’s first-ever outdoor Soapbox Race isn’t anything like your average car race. You don’t wanna miss this thrilling chase among unpowered vehicles that are fueled by nothing but pure creativity and gravity. Judged on a combination of aesthetics, functionality, and speed, catch these gravity racers as they tackle the Biopolis Road slope which will be transformed into a race and obstacle course. If there are any Soapbox vehicles that might tickle your fancy on the day of the race, you can register here to have a chance at voting for the ‘Most Popular Soapbox’ award. It may not seem like a big deal but you might just increase someone’s chances at winning $300 - that’s worth 42 McSpicy meals from McDonald’s! P.S. The Race Day is 19th August, Saturday! 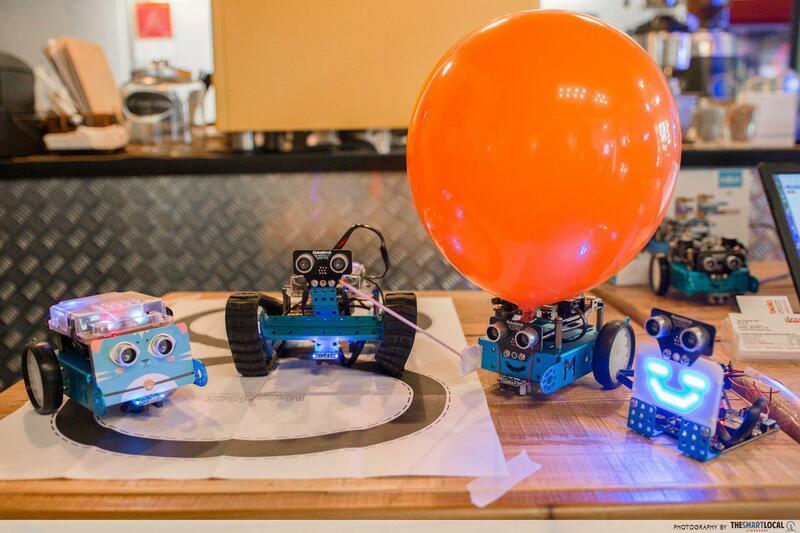 Release your inner Gru from Despicable Me as you learn to program your army of minion robots and have them engage with other robots at their Robotic Jamming Workshops. 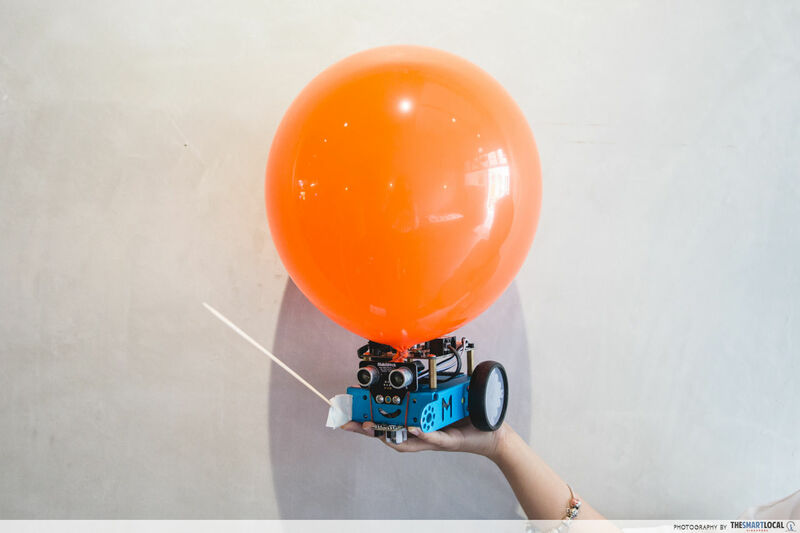 Unleash your creativity at its full potential and design a robot that’ll help earn victory for you as they battle it out against other robots in a balloon warfare! May the best robot win - good luck! Note: This workshop is free and open only to registered participants of the RACE.EAT.PLAY@ one-north Festival. Sign up here or on-site at the registration counter. With new laws in place for recreational drone flying, here's one place you can still do so without worries. 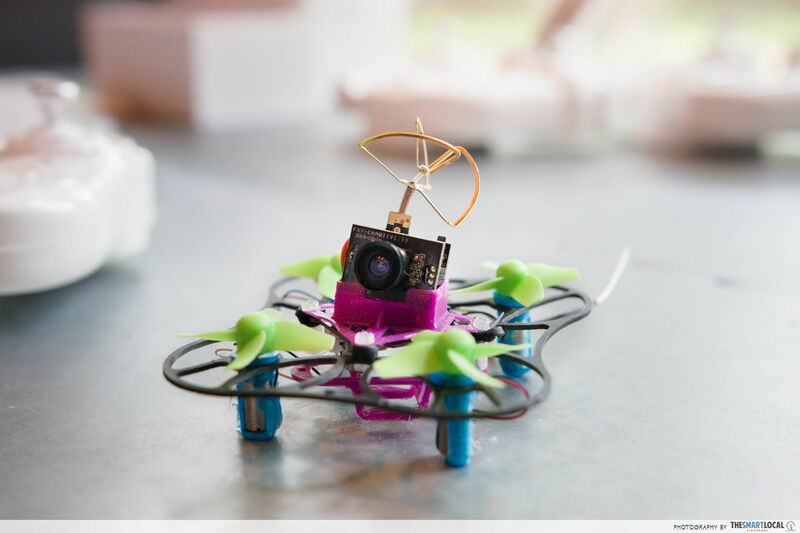 Take part in their Drone Flying Workshop and experience piloting a drone through a number of obstacles in their Drone Racing Cage. 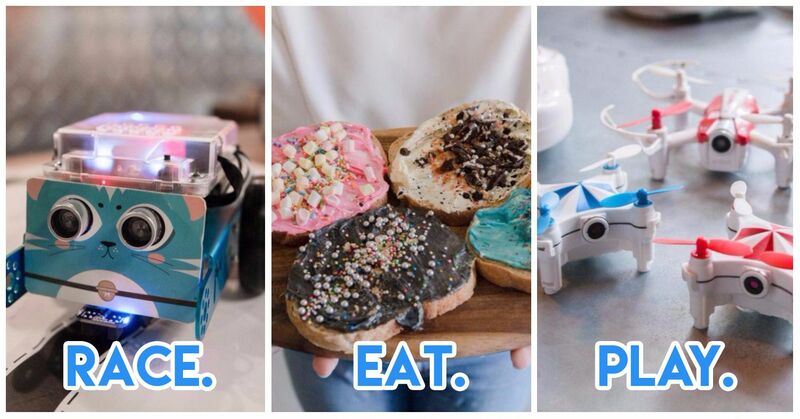 Besides getting to explore the different functions of a drone, you’ll get to take it up a notch and craft your very own mini drone! Feeling famished or simply just need a little pick-me-up? Do yourself a favour and grab a cuppa from Coffee Bandits. 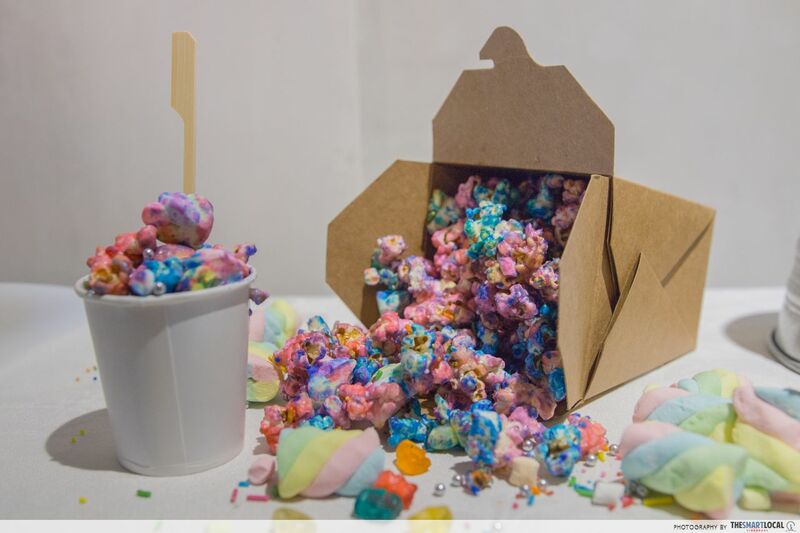 Besides selling rich coffee, they’ll also be dishing up a vast array of munchies that are almost too pretty to eat - so, go ahead and delight yourself in their Unicorn Popcorn, Popping Galaxy Bagel and Galaxy Toasts. You won’t regret throwing your diet out of the window for this! 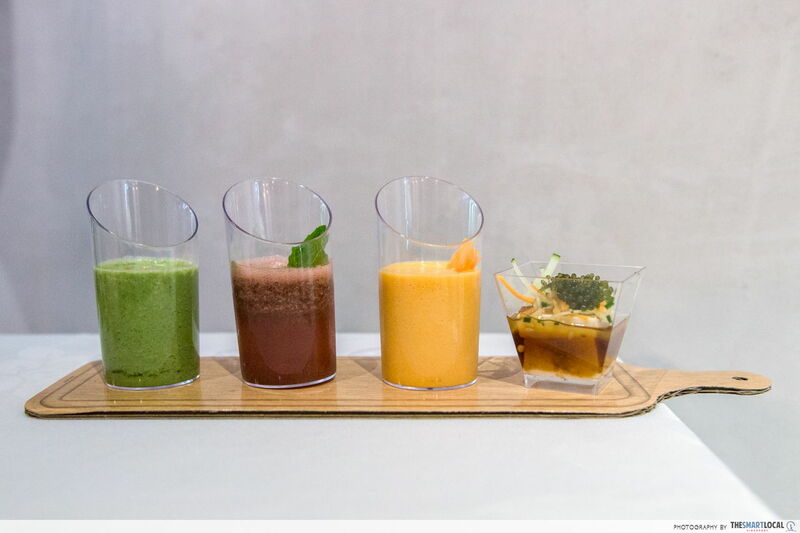 Apart from the ultimate eye candy sweet treats, you can expect to feast on their Vegan Zucchini Pasta and tasty Raw Soups - all of which have been specially curated for this event. Be sure to give their delectable treats a try while you’re there as you won’t be able to find these food items on their regular menu! If you’ve always wanted to create smoke rings without actually smoking a cigarette or vaping, well now you can. 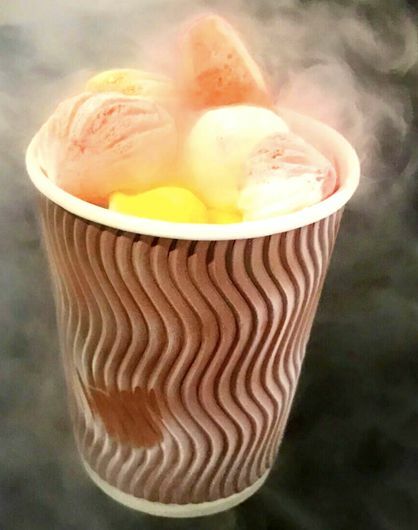 Head on down to Smoke Out’s booth at Future Food Street as they’ll be serving up their famous nitrogen dessert that’ll turn your mouth into a steam machine: Dragon’s Breath. All you gotta do is pop the rainbow coloured cereal-like balls into your mouth and you’ll find yourself blowing a fog-like gas, almost resembling a dragon - only without the flame. 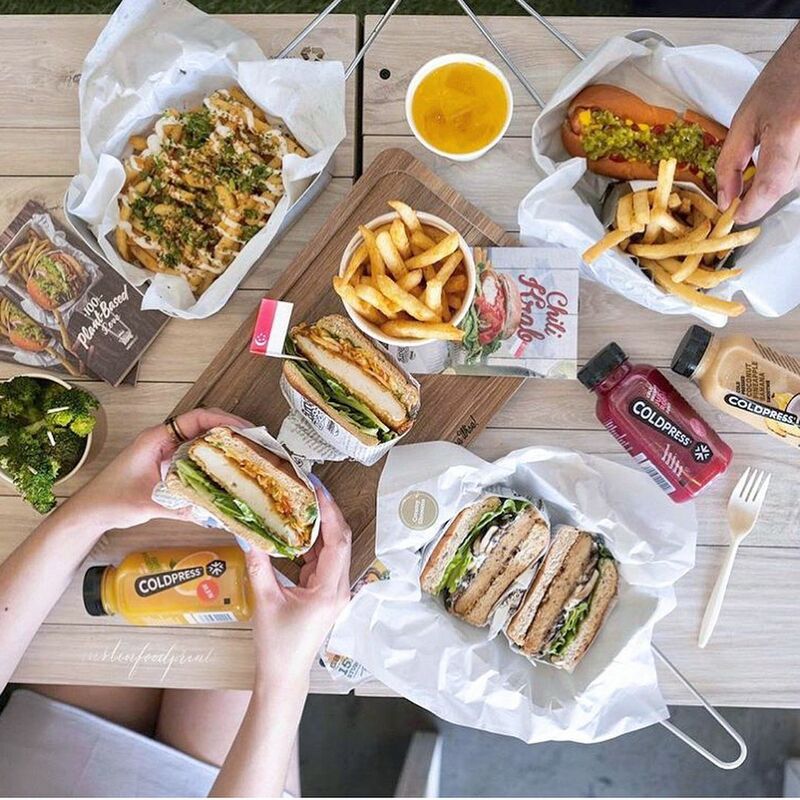 Up your healthy eating game and treat yo’self to delish burgers from Veganburg. Unlike your typical fast food burgers, they redefine food pop culture by rooting plant-y of twists in their 100% plant-based menu. So if you’ve always thought vegan food to be unappetising, these burgers will have you thinking twice. Ideators and innovators, it’s time to rejoice. At RACE.EAT.PLAY @ one-north Festival, you get to celebrate creativity and innovation in a fun way. So bring your friends and families along to enjoy an epic weekend full of fun activities and great food. It’s time to put on your creative hat and get inspired! 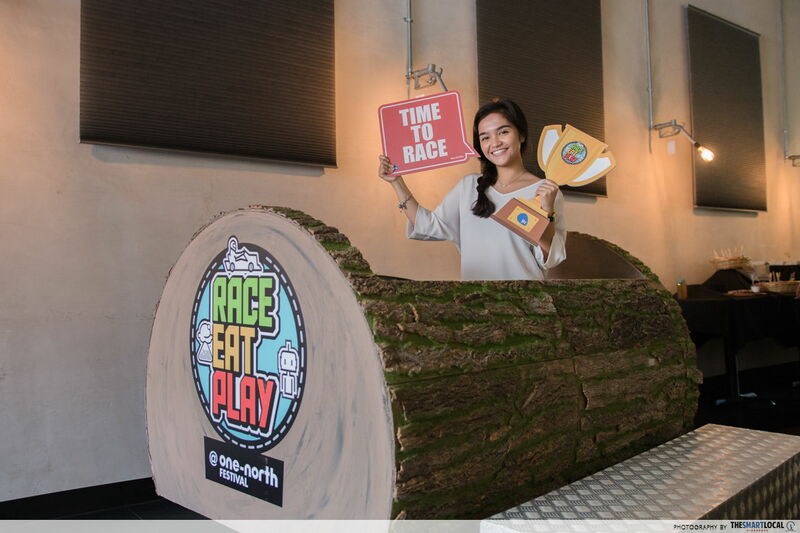 Find out more about RACE.EAT.PLAY here! This post was brought to you by JTC.